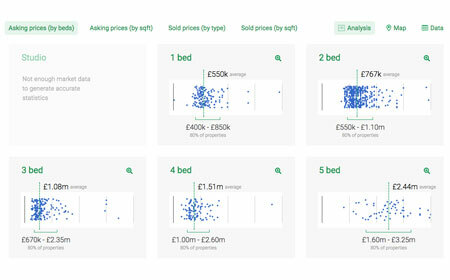 Use PropertyData's real-time pricing analysis to keep on top of house prices and rental values in your area. 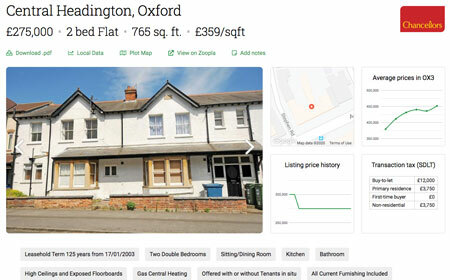 Save local areas as dashboards to keep an eye on all property market fundamentals in the area, including price per square foot (where available). 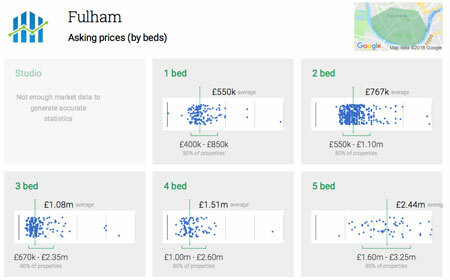 It takes just ten seconds with PropertyData to define an area, and then pull out a list of currently marketed properties broken down by number of bedrooms. Your comparable-finding process just got a whole lot easier! 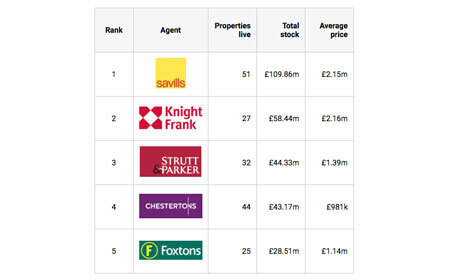 PropertyData can quickly summarise the number of properties the top local agents are currently marketing in your chosen areas. A great way of keeping track of what the competition is up to, and targeting that top spot! For any local area that you track, you can easily produce printable data sheets covering pricing, rental values, demographics and more. Impress your clients by providing accurate and clever-looking live market data for near zero effort! 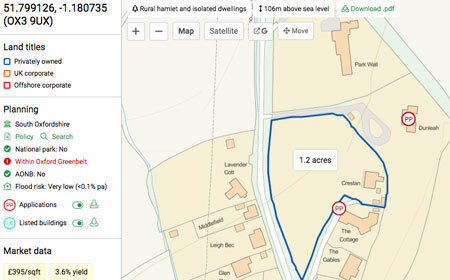 Understand how any property fits into it's local context - see map showing plots and boundaries. Sell properties faster and for more by being able to identify and explain to possible purchasers a property's development potential based on local precedents. 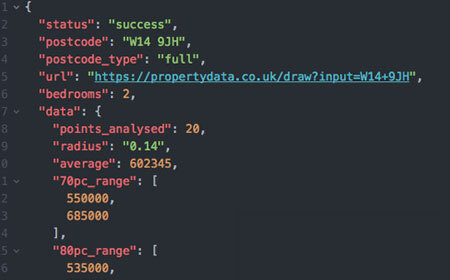 The easy-to-use PropertyData JSON API allows your web developer to access a wide variety of property market data from PropertyData. This data can then be used on your own website in any form you choose, for example to build your own instant rental valuation tool.